Phil Collins / Genesis Reunion & Aussie Tour! Phil Collins is preparing to return to music and now reunite Genesis and tour Australia. “We could tour in Australia and South America. We haven’t been there yet,” Collins told German publication Bild am Sonntag this week. Phil Collins never officially retired. There was originally his book on The Alamo, there were statements about wanting to spend more time with his family and reports of nerve damage to his hands and back problems that meant he had to tape the drum sticks to his hands. All of that may now be in the past as he has told the German newspaper that he is considering coming back to music. His two boys have moved to Miami with his ex-wife, who has remarried and Collins has taken a small apartment in New York to be a bit closer to them. More importantly to the music world, he has begun to write again and is thinking about performing. “I have started thinking about doing new stuff. Maybe playing] some shows again, even with Genesis. Everything is possible”. Collins last album with Genesis was ‘We Can’t Dance’ in 1993. He left the band in 1996 and was replaced by Ray Wilson for the 1997 album ‘Calling All Stations’. 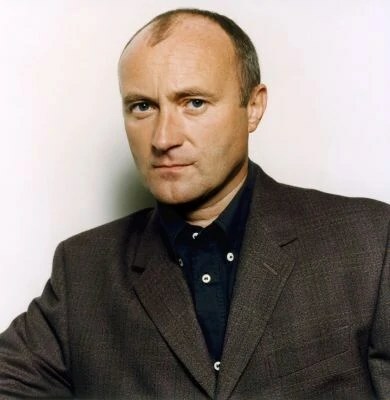 Phil Collins last studio album was the covers record ‘Goin’ Back’ in 2010. His last album of original material was ‘Testify; in 2002.